UN has conducted the largest consultation program in its history to gauge opinion on what the Sustainable Development Goals (SDG) should include. On September 25th 2015, countries adopted a set of goals to end poverty, protect the planet, and ensure prosperity for all as part of a new SDG initiative. Each goal has specific targets to be achieved over the next 15 years. How were the goals chosen? 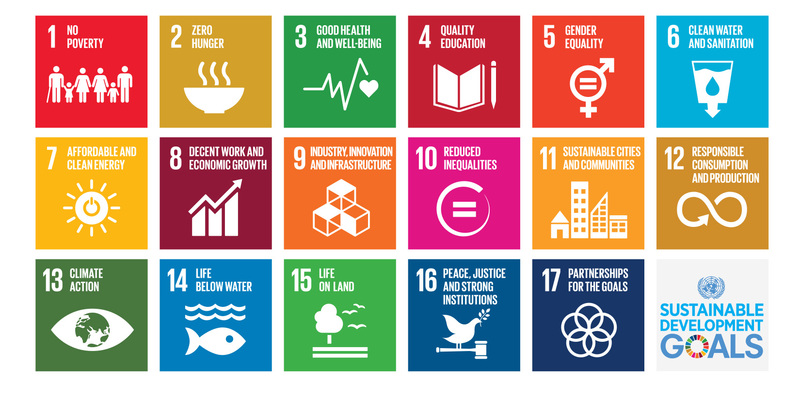 Unlike the MDGs, which were drawn up by a group of men in the basement of UN headquarters (or so the legend goes), the UN has conducted the largest consultation programme in its history to gauge opinion on what the SDGs should include. Establishing post-2015 goals was an outcome of the Rio+20 summit in 2012, which mandated the creation of an open working group to come up with a draft agenda. The open working group, with representatives from 70 countries, had its first meeting in March 2013 and published its final draft, with its 17 suggestions, in July 2014. The draft was presented to the UN general assembly in September last year. Member state negotiations followed, and the final wording of the goals and targets, and the preamble and declaration that comes with them, were agreed in August 2015. Alongside the open working group discussions, the UN conducted a series of “global conversations”. These included 11 thematic and 83 national consultations, and door-to-door surveys. The UN also launched an online My World survey asking people to prioritise the areas they’d like to see addressed in the goals. The results of the consultations were fed into the the working group’s discussions. Some NGOs also believe there are too many goals, but there is a general consensus that it is better to have 17 goals that include targets on women’s empowerment, good governance, and peace and security, for example, than fewer goals that don’t address these issues. How will the goals be measured? The indicators are still being thrashed out by an expert group. Each indicator is being assessed for its feasibility, suitability and relevance, and roughly two for each target are expected. The indicators are due to be finalised in March 2016. How will the goals be funded? That’s the trillion-dollar question. Rough calculations from the intergovernmental committee of experts on sustainable development financing have put the cost of providing a social safety net to eradicate extreme poverty at about $66bn (£43bn) a year, while annual investments in improving infrastructure (water, agriculture, transport, power) could be up to a total of $7tn globally. In its report last year, the committee said public finance and aid would be central to support the implementation of the SDGs. But it insisted that money generated from the private sector, through tax reforms, and through a crackdown on illicit financial flows and corruption, was also vital. A major conference on financing for the SDGs, held in the Ethiopian capital Addis Ababa in July, failed to ease concerns that there will not be enough cash to meet the aspirational nature of the goals. The UN said the Addis Ababa action agenda (AAAA for short) contained “bold measures to overhaul global finance practices and generate investment” for tackling the challenges of sustainable development. It included a recommitment to the UN target on aid spending – 0.7% of GNI – set more than 40 years ago and pledges to collect more taxes and fight tax evasion. But civil society groups were less impressed, saying the summit had failed to produce new money to fund the goals, or offer ways to transform the international finance system. Calls for a new international tax body fell on deaf ears. When will the new goals come into force? The SDGs will be officially adopted at a UN summit in New York in September, and will become applicable from January 2016. The deadline for the SDGS is 2030. Eradicating poverty in all its forms and dimensions by 2030, remains one of the greatest challenges facing humanity. While the number of people living in extreme poverty dropped by more than half between 1990 and 2015 – from 1.9 billion to 836 million – too many are still struggling for the most basic human needs, such as Adequate food, clean drinking water and sanitation. Rapid economic growth in agricultural productivity over the past two decades has seen the number of undernourished people drop by almost half. These are all huge achievements in line with the targets set out by the first Millennium Development Goals. Unfortunately, extreme hunger and malnutrition remains a huge barrier to development in many countries. The SDGs aim to end all forms of hunger and malnutrition by 2030, making sure all people – especially children – have access to sufficient and nutritious food all year round. It also requires international cooperation to ensure investment in infrastructure and technology to improve agricultural productivity. Together with the other goals set out here, we can end hunger by 2030. We have made huge strides in reducing child mortality, improving maternal health and fighting HIV/AIDS, malaria and other diseases. New HIV/AIDS infections fell by 30 percent between 2000 and 2013, and over 6.2 million lives were saved from malaria. 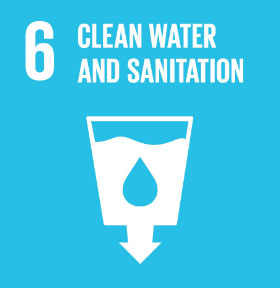 The Sustainable Development Goals make a bold commitment to end the epidemics of AIDS, tuberculosis, malaria and other communicable diseases by 2030. The aim is to achieve universal health coverage, and provide access to safe and affordable medicines and vaccines for all. Since 2000, UNDP, UN partners and global community, has made gender equality central to our work. We have seen remarkable progress since then. The SDGs aim to build on these achievements to ensure that there is an end to discrimination against women and girls everywhere. Today there are more women in public office than ever before, but encouraging women leaders will help strengthen policies and legislation for greater gender equality. Ensuring universal access to affordable electricity by 2030 means investing in clean energy sources such as solar, wind and thermal. Adopting cost-effective standards for a wider range of technologies could also reduce the global electricity consumption by buildings and industry by 14 percent. This means avoiding roughly 1,300 mid-size power plants. Expanding infrastructure and upgrading technology to provide clean energy in all developing countries is a crucial goal that can both encourage growth and help the environment. The annual average losses from earthquakes, tsunamis, tropical cyclones and flooding amount to hundreds of billions of dollars, requiring an investment of US $6 billion, annually in disaster risk management alone. The goal aims to mobilize $100 billion annually by 2020 to address the needs of developing countries and help mitigate climate-related disasters.